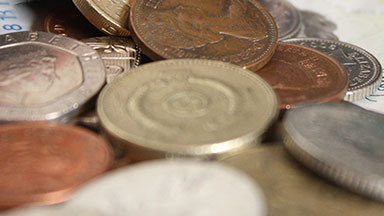 Chris’s blog: Could you survive on £3.35 a day? How about a little role-play? Pause for a minute; imagine you have just been released from prison. Over the last two years nearly everything has more or less been provided for you, it’s not great but you are in one piece. You have become used to £17.50 per week – your prison wage…bit of tobacco; bit of chocolate. Could you survive on £3.35 a day? So your CV’s not looking great and the chances of you walking into a job straight away are slim; you will need the safety net of benefits until you can find work. On the day of leaving you get £47, your discharge grant; that’s it for a fortnight. Whether you have great budgeting skills or not that’s £3.35 a day to live on for two weeks…what are you supposed to do? It seems to me that at the point of release there is a small window of opportunity, where the motivation to change your life is high. If we keep forcing people into impossible situations, then we should not be surprised at the outcomes. Oh – and don’t forget that your £47 is deducted from your first benefit payment in two weeks time. For our guys at the point of release I provide a bag of groceries (£46), a phone with a tenner’s credit (£25), basic toiletries (£9) and twenty quid towards a shirt, haircut or travel. Its minimal stuff and it only just about helps. We hope soon to transform this into the ‘LandWorks release package’. Not to shame the Ministry of Justice but it’s just practical human help and a bit of support at a critical point. So while I’m at it… Another thing that I just can’t comprehend is HMP dental care, or at least how limited it is. It’s not a basic service, it often just doesn’t really happen. Daily we have men with pain, abscesses and just appalling mouth problems. An emergency appointment can take over 8 months, if you are lucky. By this time the abscess or abscesses have burst, the tooth rotted or quite often release comes sooner than a dental appointment. But if reading this has caused you any dental type concerns, then there is a 24 hour NHS helpline – because we are not denied dental care.